Eight years, one thousand actors and countless stops on the hype train has come down to this moment. 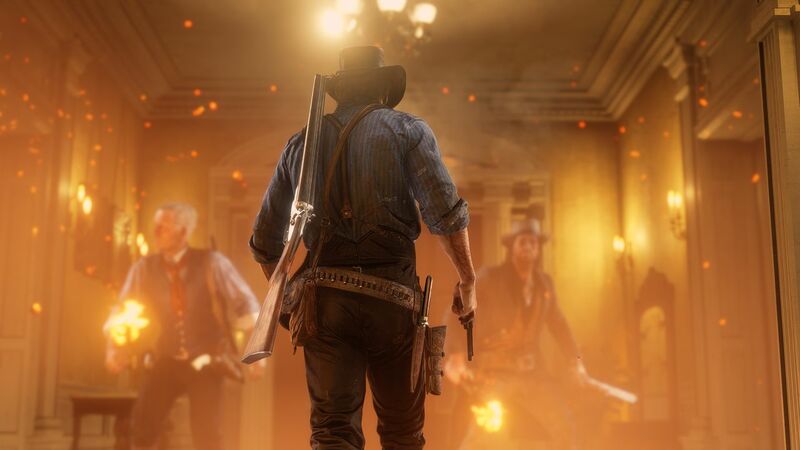 The lawless marauder of the Old West buried deep down in all of us can now saddle up and gallop at full speed into Rockstar Games’ definitive masterpiece of honor and loyalty, Red Dead Redemption 2. We were promised immersion. We were promised ground-breaking artificial intelligence, graphics, animation and design. What has been laid before us, dear gamers, is a paradigm shifting experience that will stay with us for many years to come. 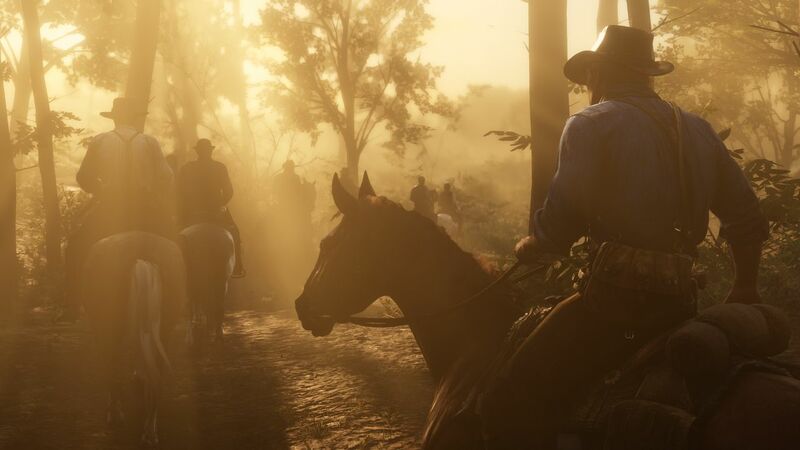 Rockstar has outdone themselves not only in the sheer scope of it all, but in the way we will approach games in general from this day forward. This title is a love letter, a tone poem and perhaps one of the greatest interactive experiences ever designed. From the moment the title screen appears, one gets the sense that they are about to embark on something very special. The original title of eight years ago also possessed this mysterious, indefinable quality. Players are treated to a montage of old school photographic negatives as they become positive, as if being printed on photographic paper while the story loads. 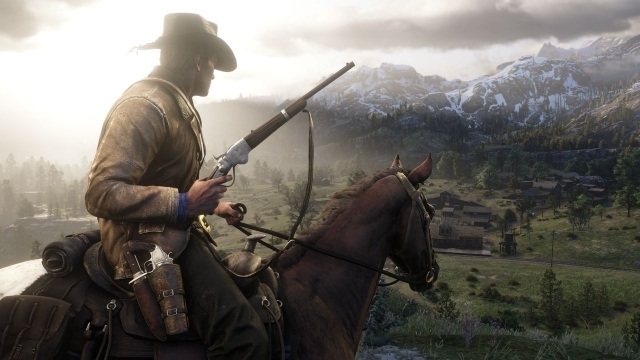 These initial moments, when either starting a new game or loading a saved one, are pretty much the only loading screens one will ever see while living the life of Arthur Morgan, our main playable character. The map is absolutely immense. 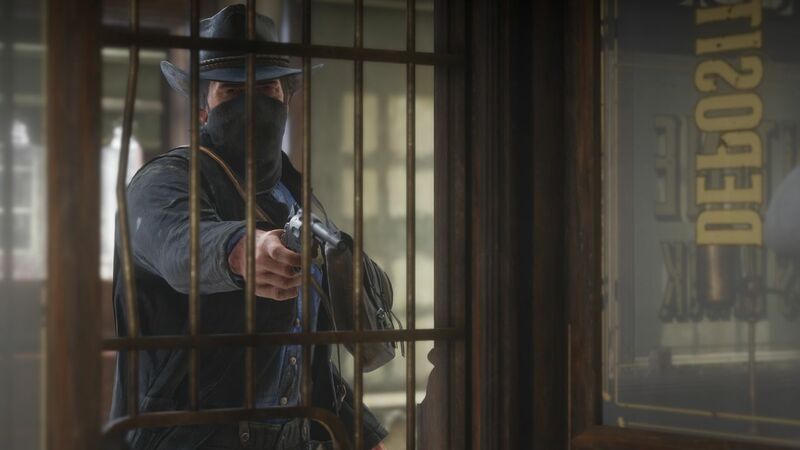 Our story opens with all the members of the Van der Linde gang on the run in a small northern mountain town during a blizzard, having fled the town of Blackwater after a robbery turns disastrous. As the story progresses, one gets to see that map bloom outward in all directions and get repeatedly larger as each town is revealed in its own time. 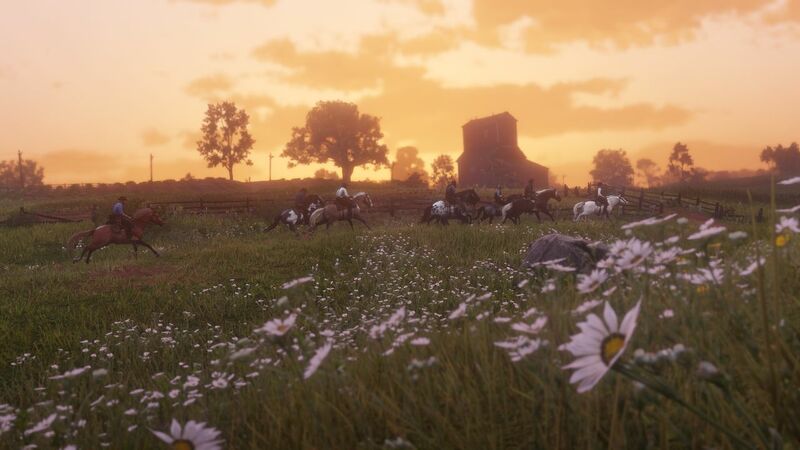 It is dense, lush, full of living creatures that go about their daily existence with or without you and, most of all, impressively immersive and realistic. Players can interact with just about anyone or anything. People, animals, inanimate objects can all be approached and dealt with by simply pulling the left trigger and selecting the type of interaction. 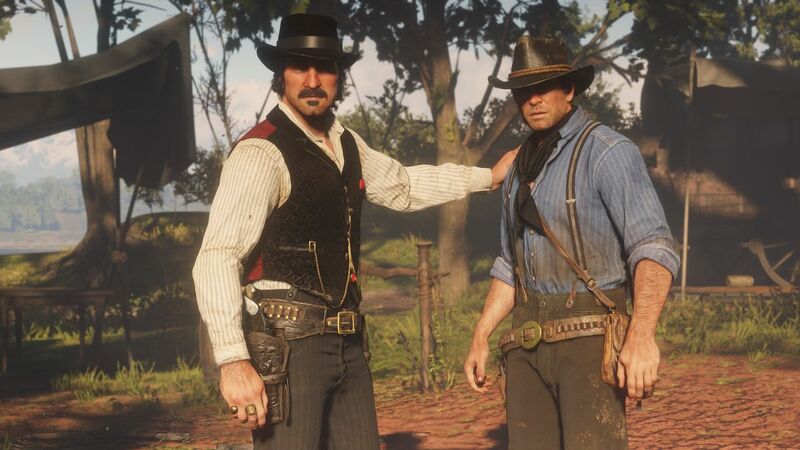 Arthur can choose to greet or antagonize someone, pick up an item, pet an animal, etc. 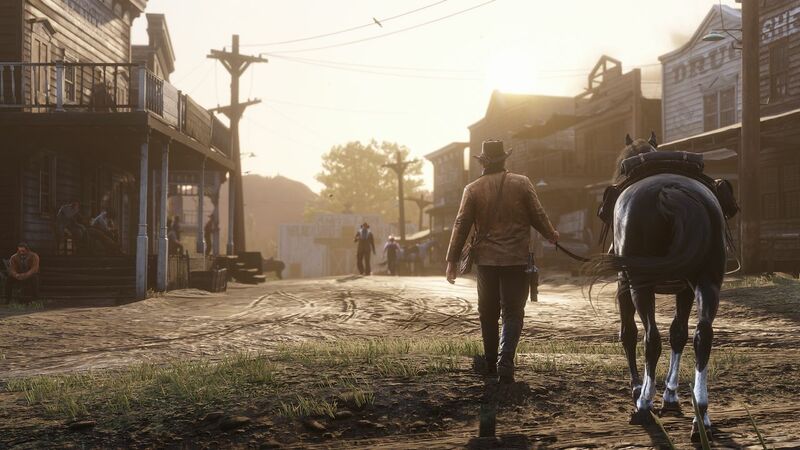 Where this game differs from all the rest in the open world genre is that all of these folks throughout this world (especially the fellow gang members) appear as if they are actually thinking. They live their lives, go about daily tasks and rattle on aimlessly about their misery. 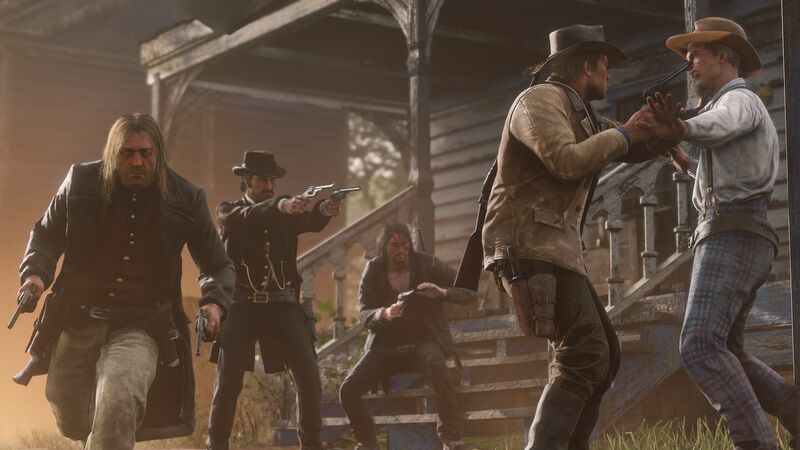 The members of the gang that Arthur calls family will actually come up to the player and start a conversation, air a grievance, make a request or even just tell a story. There are moments in this game where the AI will astonish you. 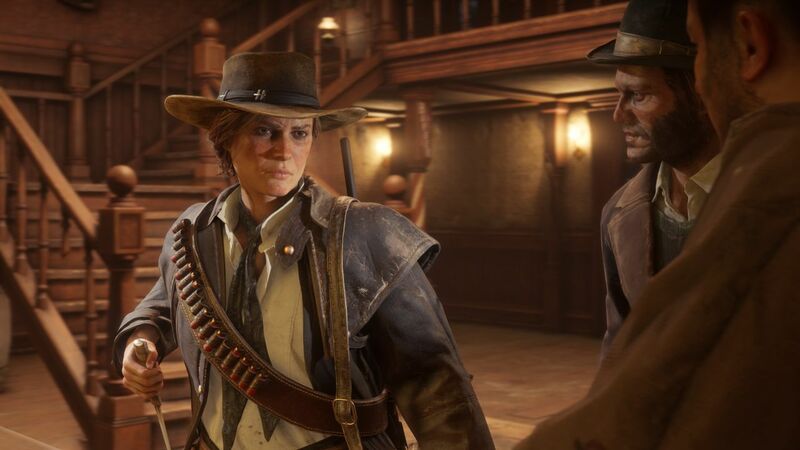 If you choose to don a mask and shoot townsfolk indiscriminately, later on back at camp Dutch Van der Linde may ask you if you’re the one running around out there killing people for no reason. Rival gang members who jump you will slap the gun out of your hand if you pull it. 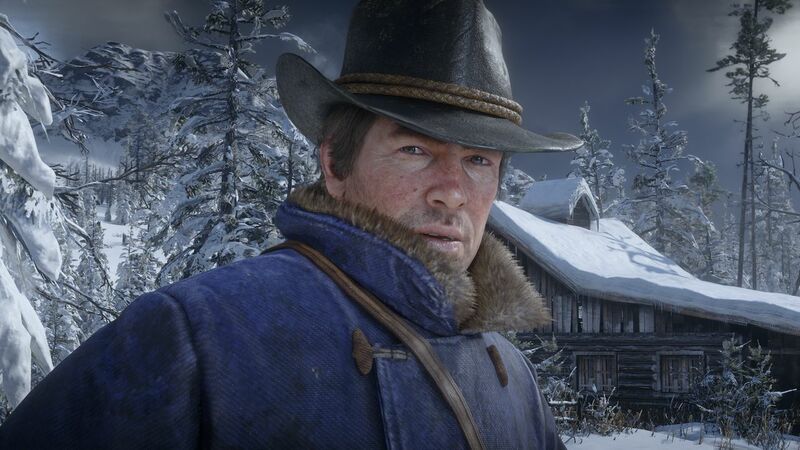 Everyone remembers the deeds Arthur has done, both good and bad, and every single action has a consequence. Some consequences may not be obvious at first, but when you’re staring down the barrel of a gun being held by a relative of someone you decided to kill, it all comes full circle. Even the selfish act of not contributing to the camp’s financial well being will bring about bad feelings among your friends. 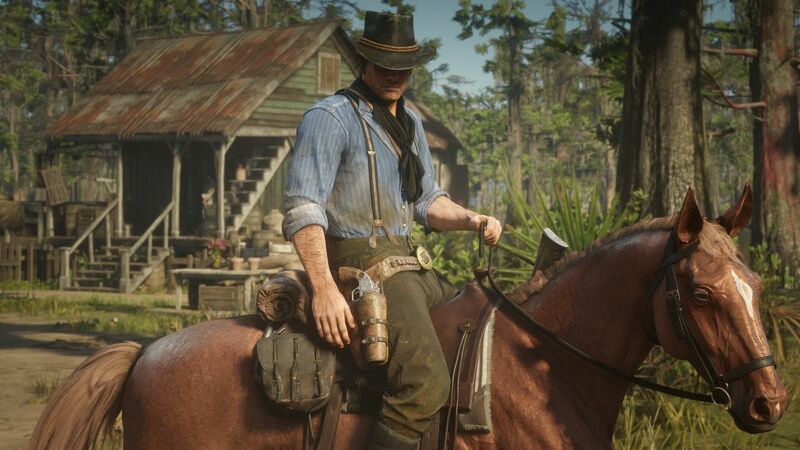 Arthur’s clothes, guns, horses and accoutrements are customizable to a high degree. The various towns all contain gunsmiths, general stores, hotels and blacksmiths all willing to do business (provided you’re not known as a psychopath) and possess catalogues that you can peruse for hours. Every single detail has been labored over in this graphically impressive powerhouse of a game. Pure snow becomes littered with footprints as you disturb it, all of the animals act like their real world counterparts, people look and act based on their moods and all of the locations contain stunningly realistic vistas that are a sight to behold. Yes, it actually feels like a real world players can get lost in for months. The gunplay is both intense and gut wrenching at the same time. The time-slowing deadeye system has returned and is upgradable in stages and features along the way. Both the general gunplay and deadeye system sound extremely powerful and dramatic, and each report from a firearm feels like a punch in the chest. 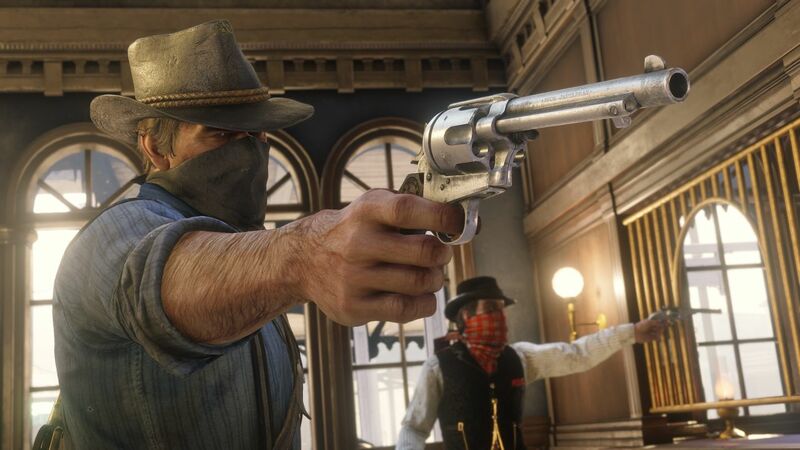 It’s a literal blast to play every moment and really conveys a sense of gunslinger skill and magic. 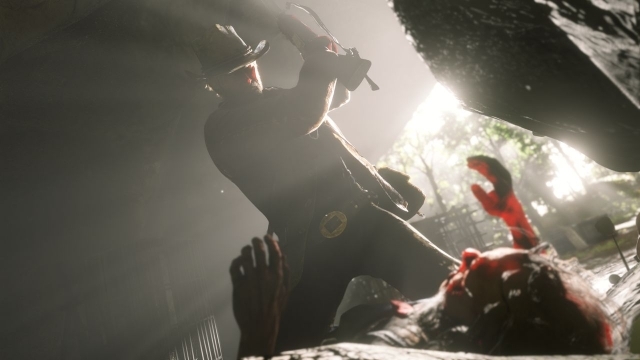 Loading a saved game at one point started Arthur in the middle of camp with someone talking to him and Arthur mumbling, “Huh? What? My mind was elsewhere.” It was as if the player had just taken over Arthur’s body and filled it with a soul at that very moment. 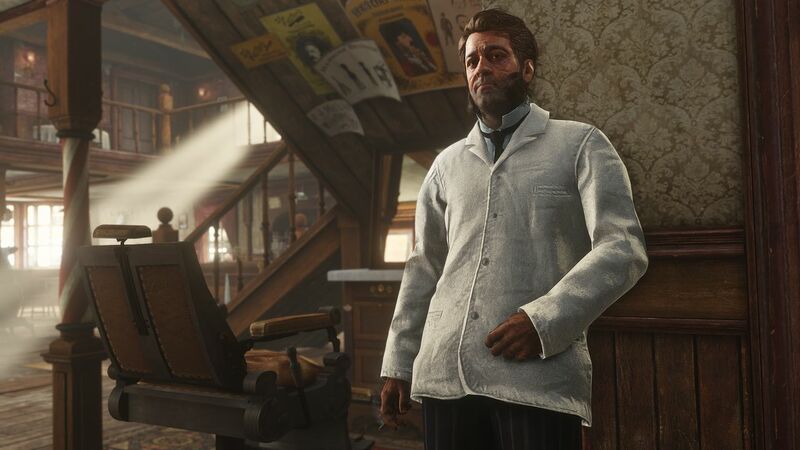 Red Dead Redemption 2’s elusive, mysterious quality may be just that… it feels like every character in it has a soul. 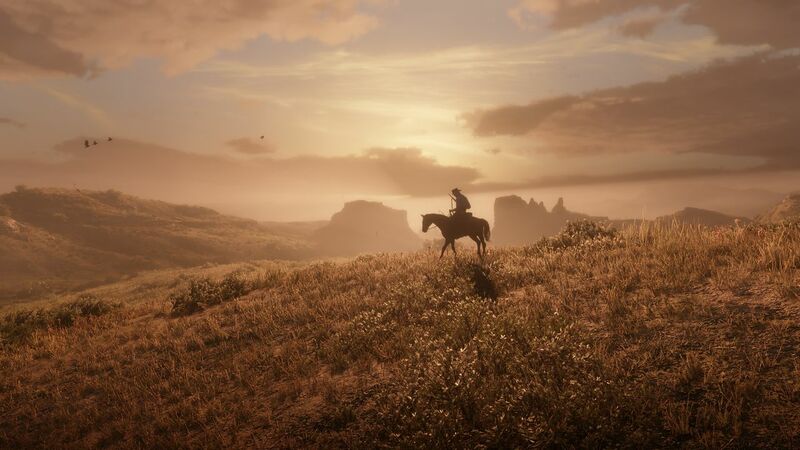 Considering the number of people across Rockstar’s entire studio roster that poured their blood, sweat and tears into this game it is no wonder that it actually feels alive. 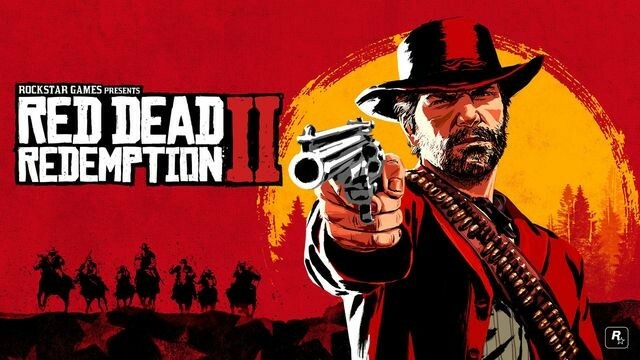 This review is based on a digital copy of Red Dead Redemption 2 for the PlayStation 4 provided by Rockstar Games.